Power Glendale’s Future With Clean Energy! 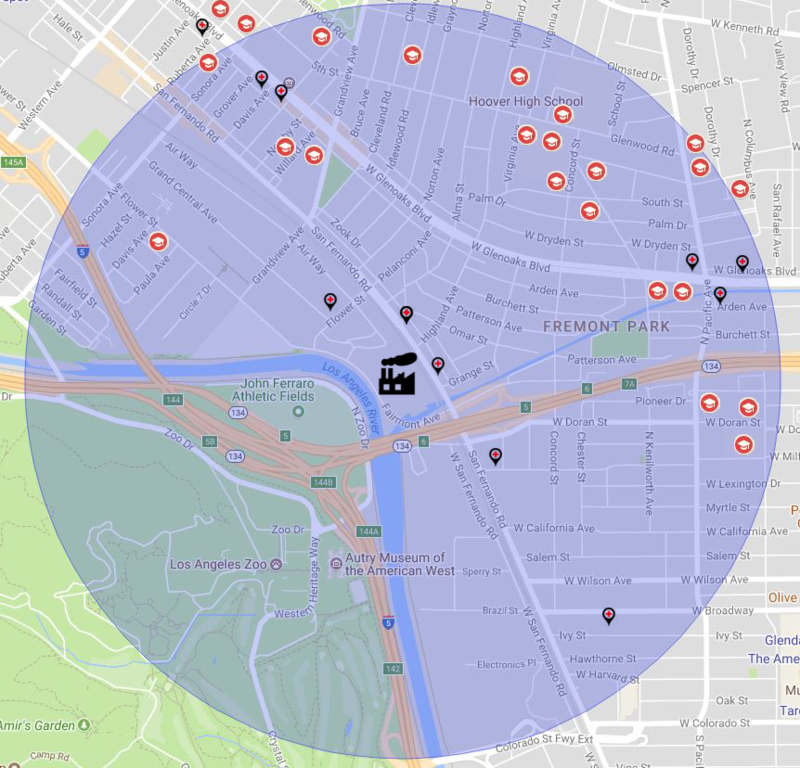 Welcome to the StopGrayson.com site hosted by the Glendale Environmental Coalition. We are a community group of local residents advocating for a greener, more sustainable Glendale. 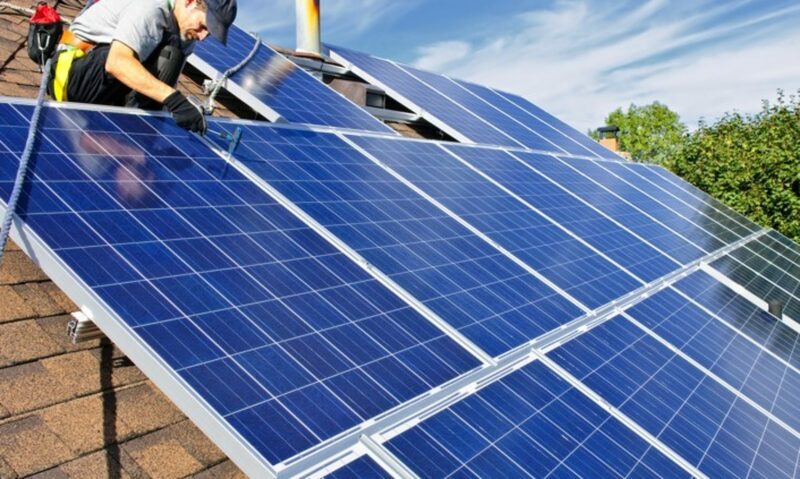 Learn about our residential solar+storage initiative called the “Virtual Power Plant” and find out how you can help power Glendale and make the grid more reliable while saving money on your own energy bills. GWP claims there are no good alternatives to a large gas plant at Grayson. But they never hired real clean energy experts to find out. If they had, they would know that there are proven ways to meet Glendale’s needs that are cheaper, cleaner and more reliable. We can meet our current and future power needs with clean, renewable energy! Glendale is looking at a $500 million expansion of the Grayson Power Plant that will increase emissions by 415,000 metric tons of carbon dioxide annually, increase ozone and particulate pollution, and generate electricity to sell to other cities. This is like adding 90,000 more gas-burning cars to Glendale roads! 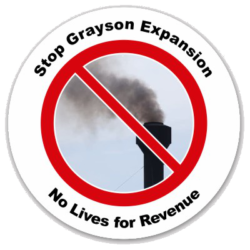 We have to stop the Grayson Expansion. Their plan is faulty for a number of reasons: it’s bad for our health, it’s financially risky, and they want to pollute locally to power other cities. GWP has only gotten advice from fossil fuel experts who stand to gain financially if the gas project goes forward. They have not looked reasonably at alternatives to fossil fuel power. 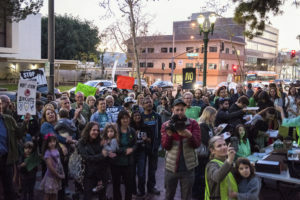 At a recent council meeting, over 400 concerned citizens showed up to protest the proposed plant and to let their voices be heard by Glendale City Council. In short, the city voted April 10th to pause the EIR process and send a Request for Information (RFI) to the market to ask businesses to give their ideas of implementable alternative energy plans for Glendale that would be reliable and renewable. Here’s a longer summary of what happened at that meeting. We need people to write to city council! Glendale City Council is listening. Writing personal letters that come from the heart go a long way! Be creative and show that you’re not just cutting and pasting from a form letter. Decision makers see these and it makes a difference. Go here to send an email. GWP will write a Request for Information and send it to the market with a 90 day deadline. They were asked to do this by council on April 10th. Steve Zurn said they need 30 days to make the RFI so we should see results in August. We’ll update this site as we find out more information about the RFI process.